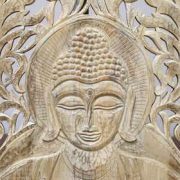 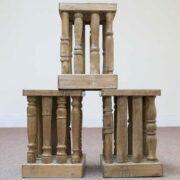 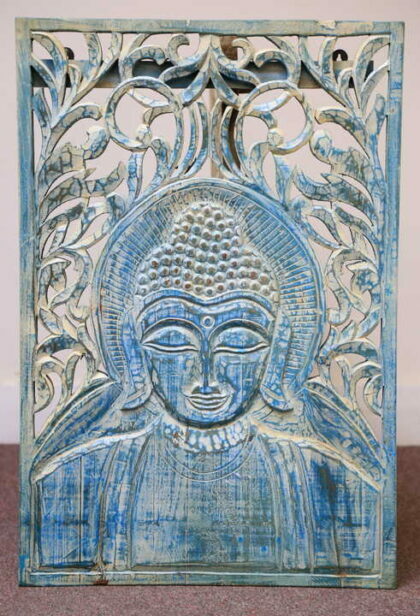 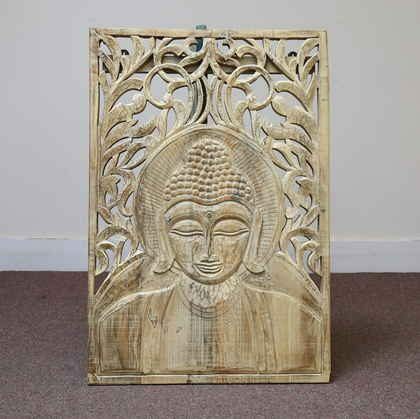 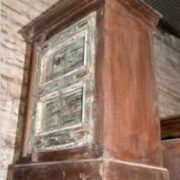 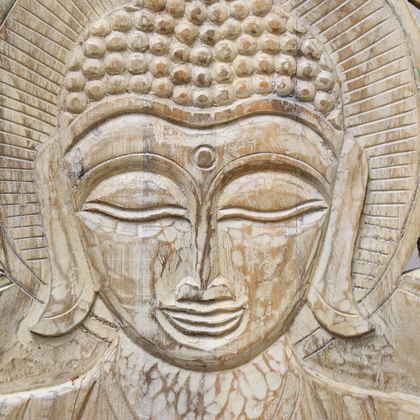 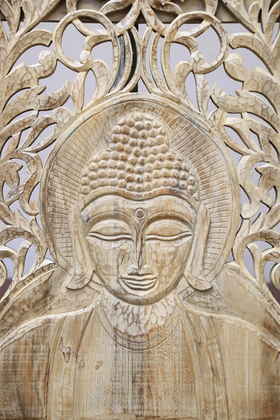 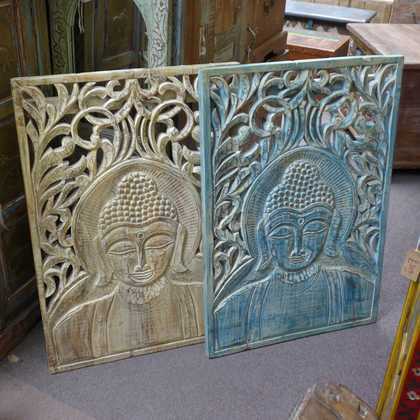 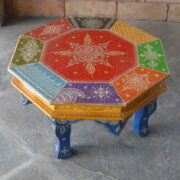 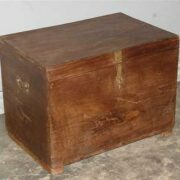 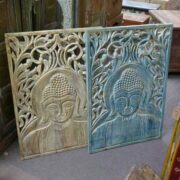 Hand carved solid wood wall panel featuring the Buddha. 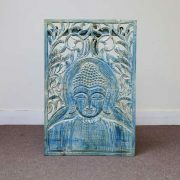 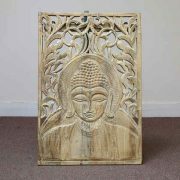 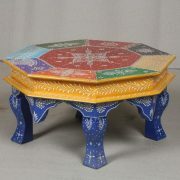 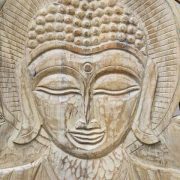 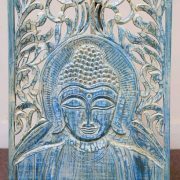 Made from solid wood, this hand carved Buddha panel features swirls and patterns above a traditional image of the Buddha. 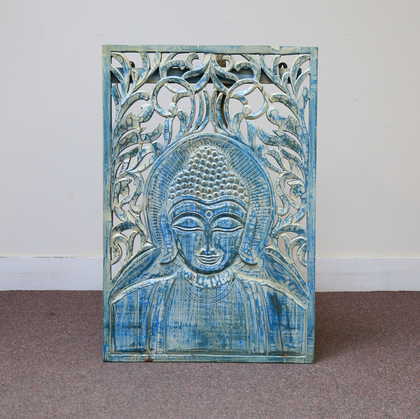 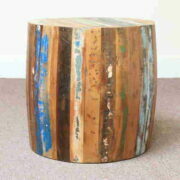 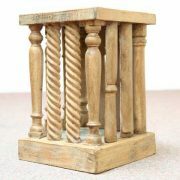 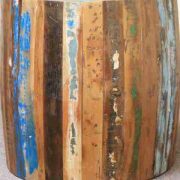 Finished in a lightly distressed pastel blue wash, it comes complete with fixings to hang it to the wall.